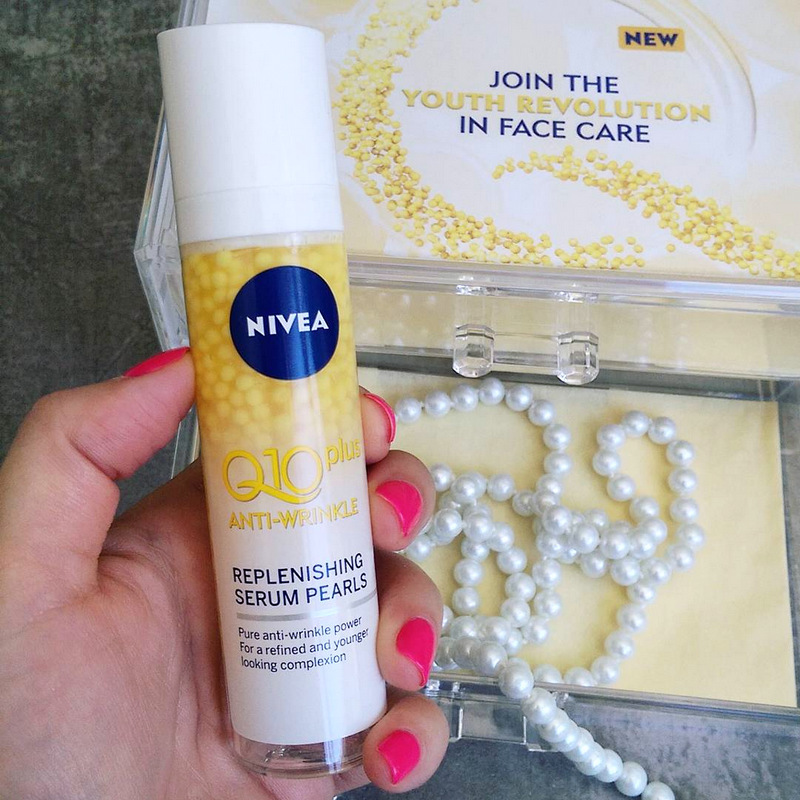 If you’re a fan of NIVEA’s skin care, particularly their Coenzyme Q10 offerings, you’ll be glad to know they’ve just launched their most Q10-a-licious product yet – NIVEA Q10 Plus anti-wrinkle replenishing serum pearls (R229). A good antioxidant, we know that Q10 occurs naturally in our skin, plays a role in how our cells produce ATP (cellular energy) and that our reserves deplete as we age. 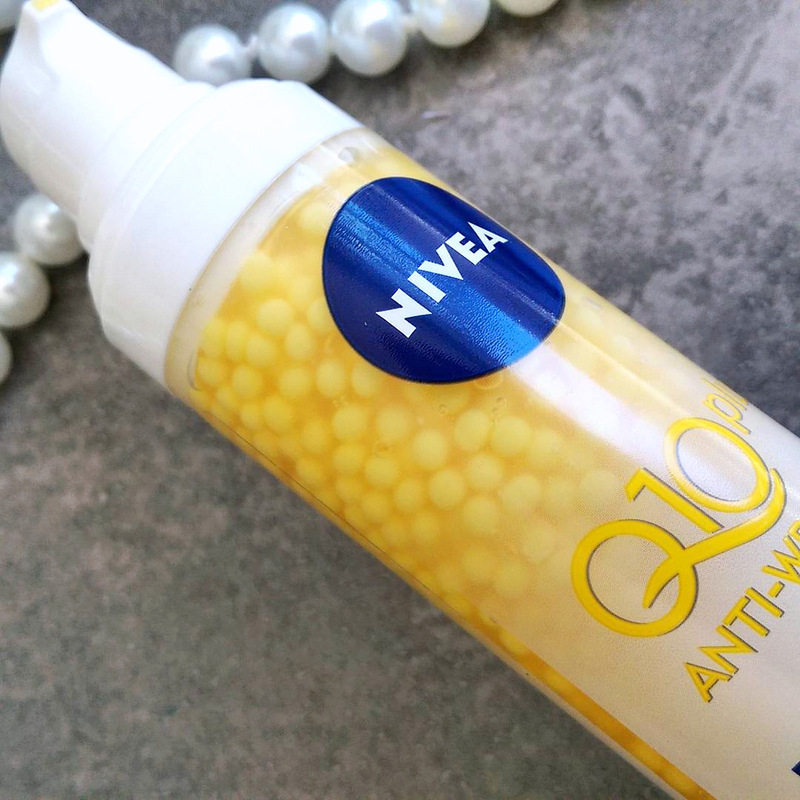 Anyway, it’s unclear what percentage of Q10 exists in NIVEA’s new serum but it’s packaged in little ‘pearls’ that burst open when pushed through the pump bottle’s nozzle to ensure a ‘fresh dose’ of Q10 that then mixes with the hydrating component of the serum, a glycerine-based gel that contains skin plumping hyaluronic acid and creatine, the latter being something that helps boost our skin’s ‘energy’ supply so it can function well when it comes to doing things like regenerate. 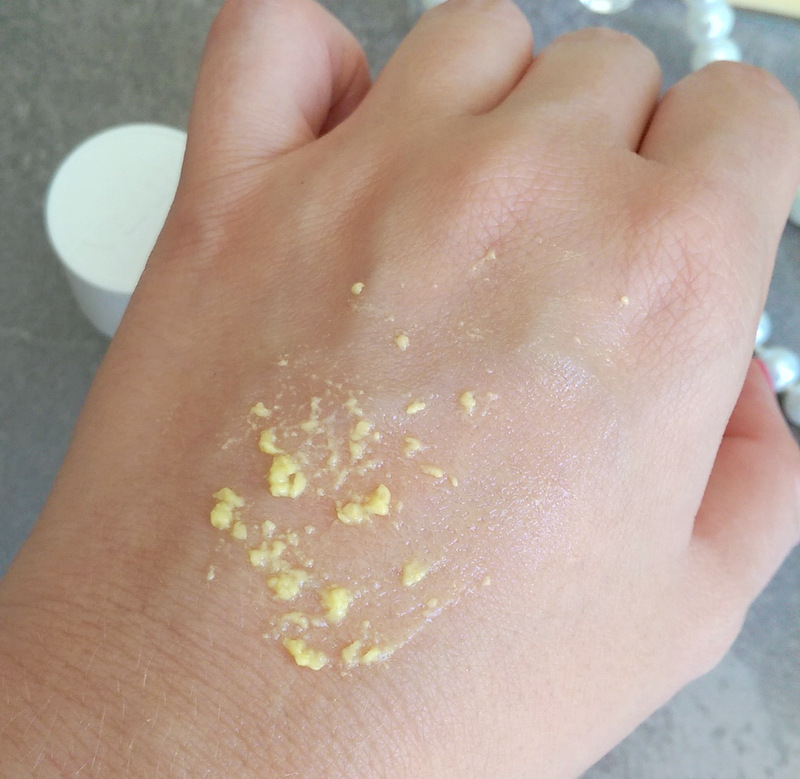 …spreads out to look like this and then completely disappears when it’s fully rubbed in. From a purely ‘hydrating’ perspective, I wouldn’t advise you use NIVEA’s new serum on its own unless you’re very, very oily. 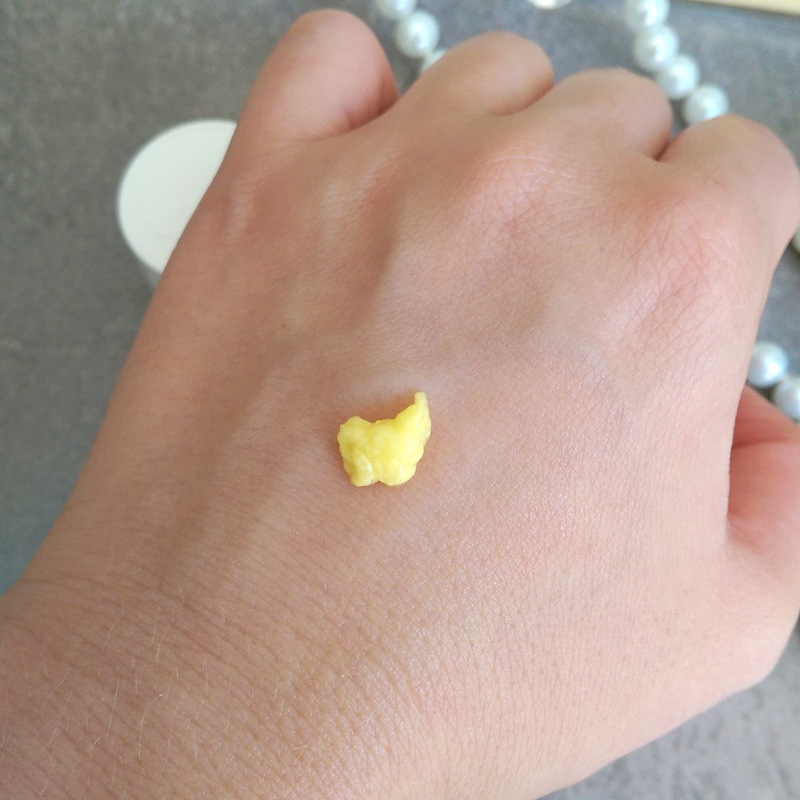 I’m combination-skinned and can often get away with wearing a serum on its own as a moisturiser, but like I said, this absorbs fast and leaves zero slip in its wake. A rather nice thing because you can happily work it into any existing routine without having to worry about added weight. Editor of South African beauty blog Lipgloss is my Life. This looks lovely. I also have a hectic case of combination skin (very oily t-zone, very dry cheeks in winter), and I’ve been looking for a nice light-weight anti-wrinkle product. Will defs give this a try! I also agree with you about the jars from NIVEA. Hi Nirvana! Apologies, I’ve only spotted your comment now. It was ages back when I tried this so I’m struggling to remember but if you need two pumps that’s probably what I used. Bought Nivea Q10 now and is looking forward to discover its worth.I’m rather sceptical when it comes to trying new products;but let’s see,might just be a winner for me!